Oval brilliant cut diamond set in four prong tiger claw setting, handcrafted in yellow gold. This design features a cathedral style shank with a narrow rounded band. 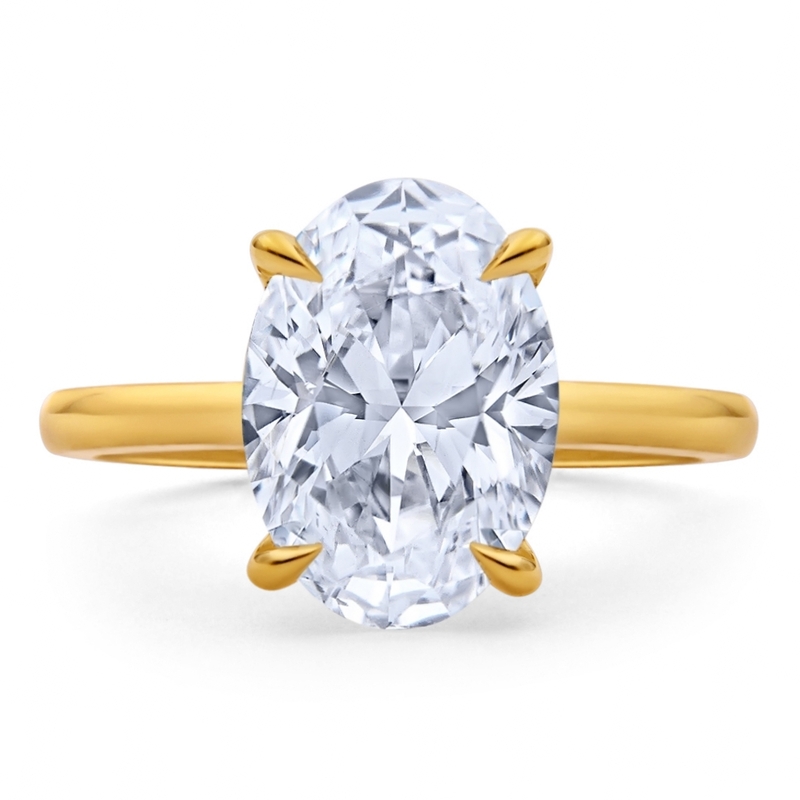 The basket below the center diamond tightly surrounds the pavilion of the stone which adds a subtle sparkle the along the perimeter of the setting.